The customers are your ‘walking advertisements’. I live by this saying and I agree that once you establish a strong, positive relationship with your clients, it will guarantee returns and therefore, business success. Excelling in the beauty service industry is a daunting task that is why customer service is vital. Because you are in direct contact with your customers, the experience holds a great value to them. In my eyelash extensions business, I always see to it that I provide exceptional customer service. Clients must be satisfied with the courses, the products and of course, the lash extension treatment. We are focusing on a client-centered approach and our strategies evolve around 5 important factors that will make customers return. I always find a way to get personal with my customers. It is important that you connect with them on a human level. When you reach out to them for feedback, opinion or anything that they need help with, you are indirectly creating a relationship with them. As a result, trust is developed. An excellent example of this is the Lash Tribe Facebook group. Basically, I created it to connect with other lashers, whether newbies or advanced and help each other out in terms of techniques, strategies and frequently asked questions in the lash business. In the spirit of getting personal in your approach, you will greatly benefit if you truly know your clients because, through it, your team will be able to create a personalized and unique experience for them. The products, courses, and services will be catered according to their wants and needs. Multi-million dollar companies, such as Adidas, BMW, Nike, and Toshiba has attained business success and make use of this element because it has proven successful over the past couple of years. Who doesn’t want to be rewarded? I mean, who doesn’t want to receive gifts or freebies? You can give out loyalty gift certificates for those who have purchased your products for a specific period. Offering VIP access can also be an effective way to reward them. 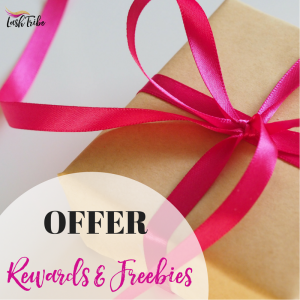 For instance, if you have an eyelash extensions business course that you want to offer your clients, you can entice your clients on what you are offering by giving out Free eBooks. Remembering your client’s details, for instance, a birthday or any special occasion can also be beneficial. You can keep a log of your client’s birthday and give them a free product/procedure during that special day. I assure you, they’ll appreciate it and you’ll have a loyal customer for a lifetime. The physical attributes of your business space are also vital. A beautifully designed place entices a person to go back, right? If your business space allows it, you can invest in comfortable furniture to add to the ambiance. Offering complimentary drinks, cookies or cakes can also do the trick. Plenty of options out there; Let those creative juices work. Definitely, small gestures to warm the heart of your customers. And, it makes you stand out from your competitors. Being open and attentive to your client’s needs is of utmost importance. Get their feedback on every experience and let them know that you’ll do necessary changes if needed. In order to provide excellent service, you need to practice effective communication with your customers. Misunderstandings and miscommunications can be prevented once you set up a good relationship with clients and you can ultimately do this if you keep communication effective. Once you have mastered and created the perfect relationship with your customers, you will be guaranteed increased customer loyalty, promotion, widespread brand attention and of course, higher profits! It has definitely helped me with my eyelash extensions business success, hope it helps you out, too! Ps. 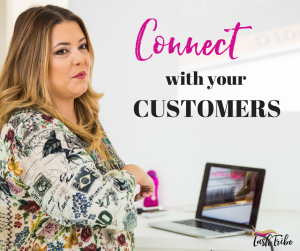 If you need further tips in getting clients to your door, then my FREE Ebook might help you out! Here are 5 simple tips that will get you clients fast without spending any $$$.